Soulful singer, Dumza Maswana’s brand new single Nomthandazo will be available on all major digital outlets on Thursday 31 March 2016. Dumza releases this single as part of his eagerly awaited 2nd album. Born in the vibrant small town of Peddie in the Eastern Cape, Dumza is no stranger to the South African music industry as one of his songs ‘Nguye’ off his debut album ‘Iphupha Lam’ became an instant hit on various national and provincial/community radio stations. His other song ‘Molo’ was number one on the Umhlobo Wenene Top 30 chart show for 8 weeks. Dumza’s music continues being played on KayaFM, Umhlobo Wenene FM, TruFM and Radio 2000. He is considered by many a very humble and down to earth artist, with a lot of respect and trust in his African culture. As a soulful and experienced musician, Dumza enjoys the support of a wide range of listeners, aspirant and discerning music lovers. His music is intimately attached to the history of jazz music and its culture. 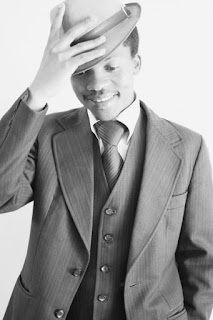 Dumza writes and co-produces his own music. With his very unique deep voice he brings a rare articulation to Afro-Jazz music. Each song that Dumza writes and performs reflects his strong understanding and appreciation for Afro-Jazz. 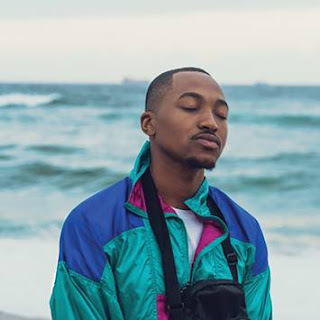 He has shared the stage with some of the country’s top artists including Thandiswa Mazwai, Simphiwe Dana, Ringo Madlingozi, Tshepo Tshola, Siphokazi, the Jaziel Brothers, Mafikizolo and the legendary Victor Ntoni. He had the rare opportunity to open for the internationally acclaimed duo Kenny Latimore and Chante More on their visit to South Africa. He has also performed at major events such as the Grahamstown National Arts Festival and the Macufe Festival. His new single Nomthandazo is a playful and romantic story of how a man tries to reassure and charm the special lady in his life. Dumza’s charming baritone voice in this song is accompanied by an incredible band with backing vocalists including the talented Titi Luzipho and Idols season 11 top 16 finalist, Thami Shobede. The song is produced by renowned producer Luyanda Madope. He is currently working on his full studio album which will be released soon after this single. Dumza will surely win the hearts of many ladies with Nomthandazo.